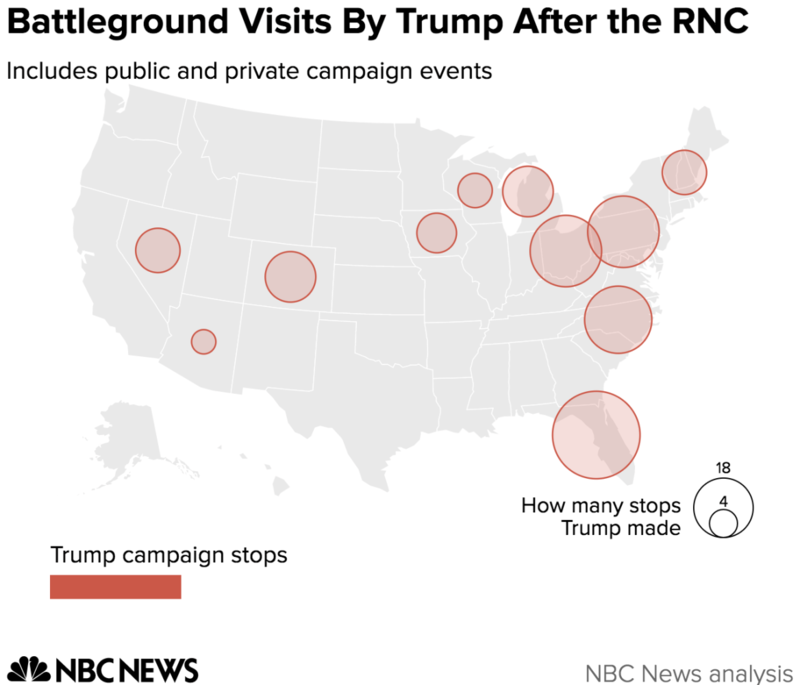 President-elect Donald Trump heavily out-campaigned his Democratic opponent in the last 100 days of the election, spending roughly 50 percent more time in six key battleground states that pushed him to victory on Nov. 8. 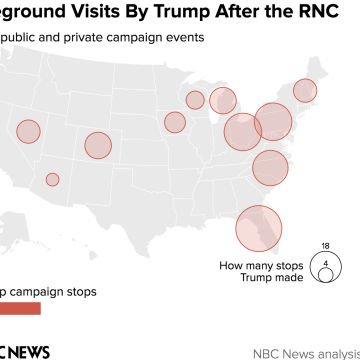 Over the final 100 days of the election, Trump made a total of 133 visits to Florida, Pennsylvania, Ohio, North Carolina, Michigan and Wisconsin. 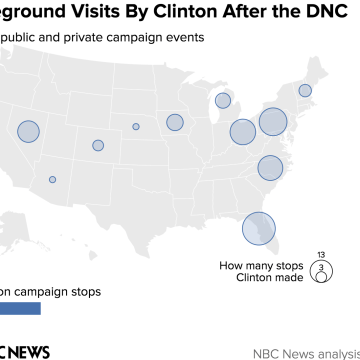 Over the same time period, Hillary Clinton visited the first five of those states a total of 87 times. She never traveled to Wisconsin during the 102 days between the convention and the election. Instead, Clinton sent her top surrogates to Wisconsin including her running mate Sen. Tim Kaine, her daughter Chelsea Clinton and her primary opponent Sen. Bernie Sanders of Vermont. 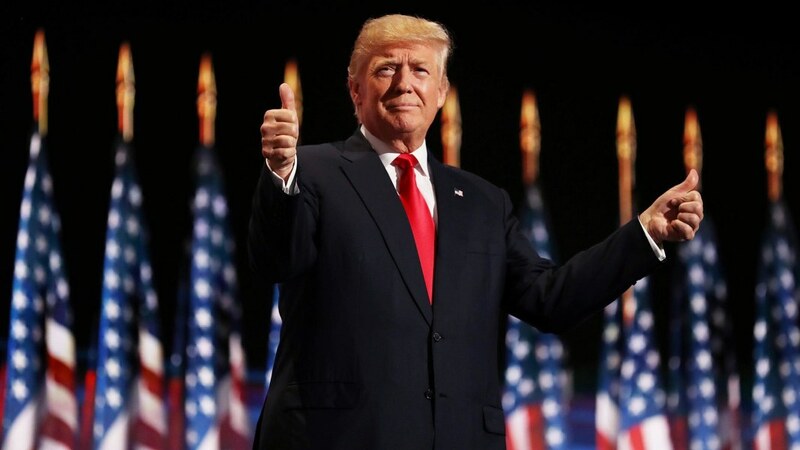 Trump ended up winning Wisconsin by 1 point, the first time a Republican presidential candidate has triumphed there since 1984. Other top Clinton surrogates — most notably President Barack Obama, First Lady Michelle Obama and Vice President Biden — traveled constantly for the Democratic nominee in the closing weeks, allowing the Clinton campaign to stretch resources and focus the candidate on fundraising and debate preparations. 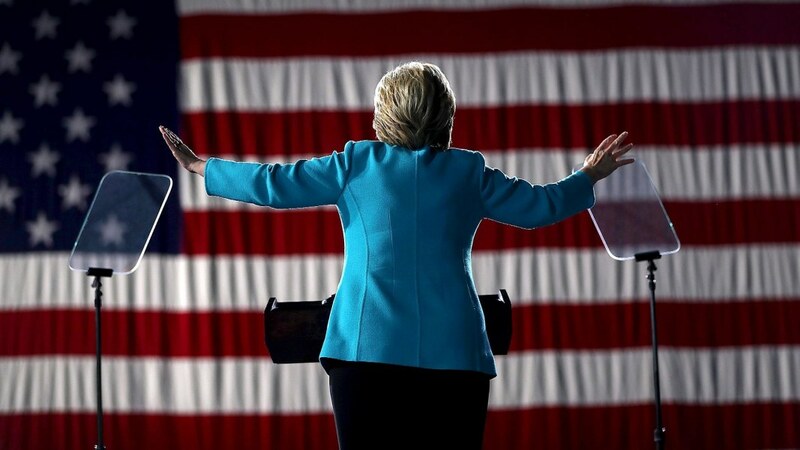 On a call with donors Saturday, defeated Democratic presidential nominee Hillary Clinton blamed the actions of FBI Director James B. Comey in the final two weeks of the campaign for chipping at her momentum. 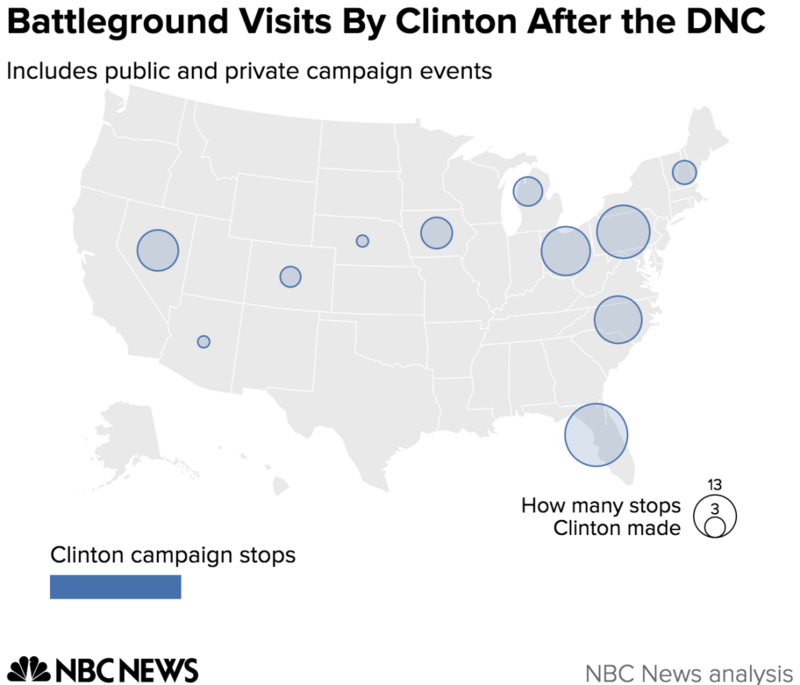 Clinton had been up, at times significantly, in national and many statewide polls following the Democratic National Convention at the end of July. She took time off from the trail in August to fundraise and prepare for three presidential debates while Trump moved from one battleground to the next, holding multiple rallies. She also relied heavily on political and celebrity surrogates while he hit the road mostly on his own, with few top supporters to call on. Yet it was Comey's decision 12 days before the election to renew attention on what had seemed to be a closed investigation of a private email server Clinton used as secretary of State that jolted the final days of the race. Then, with just two days of campaigning remaining, the FBI Director just as suddenly determined that nothing had changed his original announcement in the summer that no legal action was warranted in the case. "Our analysis is that Comey’s letter raising doubts that were groundless, baseless, proven to be, stopped our momentum," Clinton said in a call with donors Saturday, according to a source who participated in the call. "We dropped and we had to keep really pushing ahead to regain our advantage, which, going into the last weekend, we had. We were once again up in all but two of the battleground states, and we were up considerably in some that we ended up losing. And we were feeling like we had put it back together," she said in remarks first reported by The Washington Post. That may be true. But travel may have also been a significant factor. Trump out-campaigned Clinton by 30 percent in Florida, winning by 1.3 points a state that had gone Democratic in 2008 and 2012. In Pennsylvania, Trump made 23 percent more visits and won the previously blue state by 1.2 points. 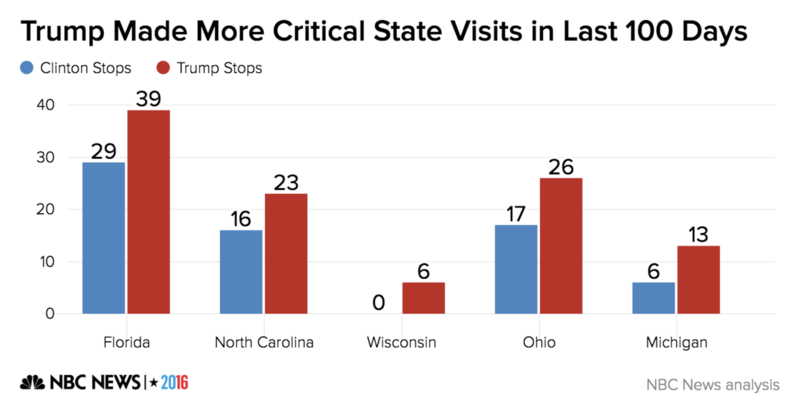 The biggest disparity came in Ohio, where Clinton made 17 stops and Trump made 26. He won the state by more than 8 points. 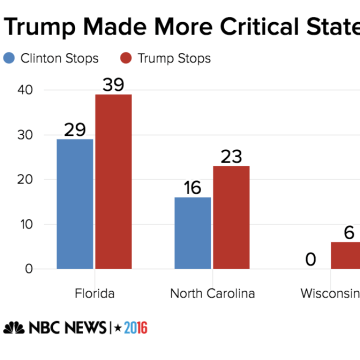 In North Carolina, Clinton made 16 stops as Trump made 23, and he took the state by a little under 4 points. And in what may prove to be this cycle's most stunning 11th hour upset, Michigan hosted Trump 13 times in the last 100 days. Clinton visited just six times in comparison and, as of Sunday, was behind Trump by 47.3 to 47.6 percent. 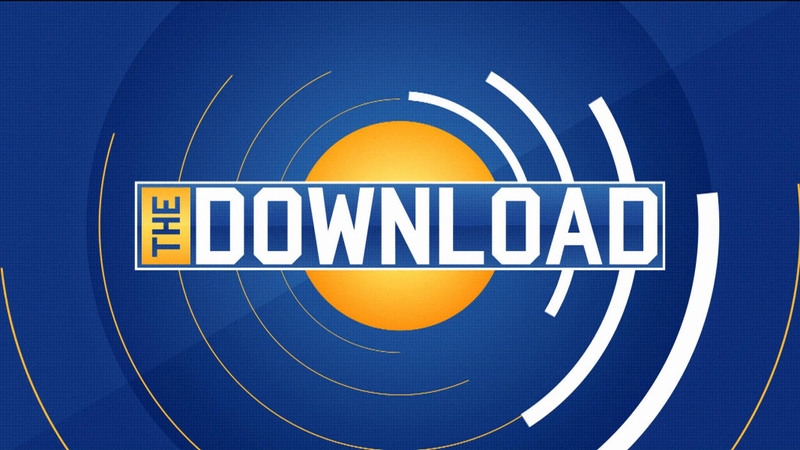 "When you win, every decision you made is suddenly brilliant, and when you lose, every decision is described as wrong headed," said Republican strategist, former George W. Bush White House Director of Communications and MSNBC contributor Nicole Wallace on Sunday. "That said, being in those states helped Trump cut through the largely negative media drumbeat and communicate directly with voters," she added. "When the margin is this close you have to assume that everything you did over the course of a campaign mattered."